BEACHSIDE VACATION RENTAL AVAILABLE. Spacious open floor plan with two exterior balconies (one of which is screened) to enjoy morning coffee or evening cocktails with ocean breezes and the beautiful azure waters of the Gulf of Mexico. 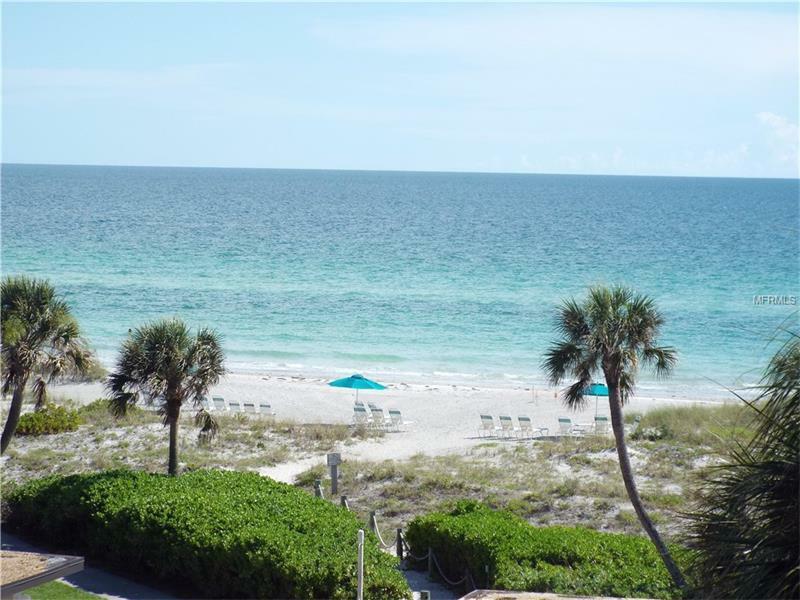 Spectacular Gulf views from this top floor unit with elevator access in the popular SeaPlace community, a beautifully landscaped and well-maintained beachside community on Longboat Key. UPDATED TURNKEY FURNISHED 2-bedroom 2-bath 4th floor condo with all new furniture and washer/dryer in unit. King bed in master with master bath en-suite and twin beds in guest bedroom. Flat screen cable TV and FREE WiFi . Updates include wood and tiled floors throughout, raised ceilings, plantation shutters, newer kitchen appliances, solid surface counters and wood cabinetry. Two parking spaces are included, one of which is covered. $3,500/month off-season; $5,500/month seasonal rental rate plus tax and fees. Seaplace is a popular beachside community offering a variety of activities and amenities including an updated clubhouse, game room, library, fitness center, Har-Tru tennis, playground, walking trails, two beachside heated swimming pools, kiddie pool, two heated spas and outdoor grills for your convenience. Located on the south end of Longboat Key, and only a short drive to St. Armand's shops, fine dining and the arts and cultural scene of downtown Sarasota, and the beaches on Siesta Key and Anna Maria Island. Make this your next vacation destination!